This is a very strange engine. It is apex seal to have a hard time most when Mazda develops the rotary engine. Apex seal is very delicate parts. 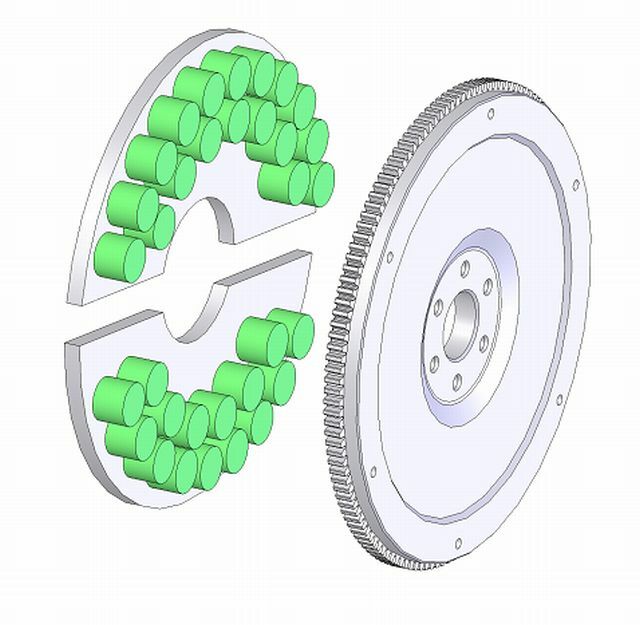 The rotary engine has three apex seal per one rotor. However, this engine has it four! Nevertheless, this engine needs two valve trains further! How many explosions does this engine need to make one rotation? Next on hard PCB put some coils end electronics. 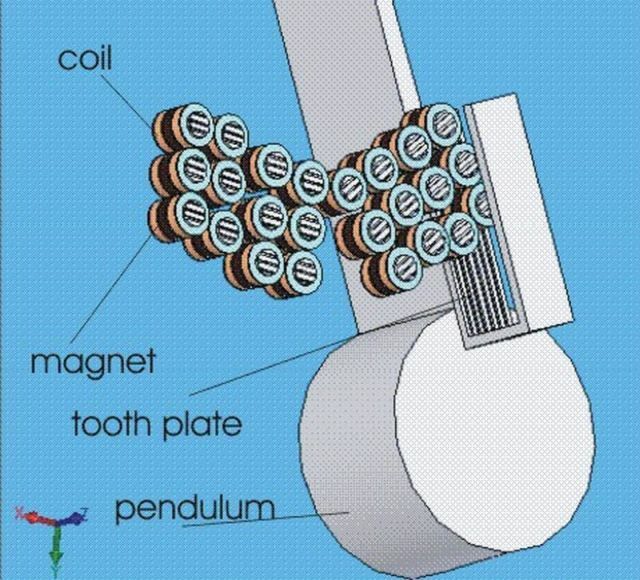 Every so the "green cylinder" has the magnet, two coils with shuffled teeth for the half of their size of the division, a bit electronics of the type small bridge on mossfets, securities on varistors electronics controlling generate the electricity . 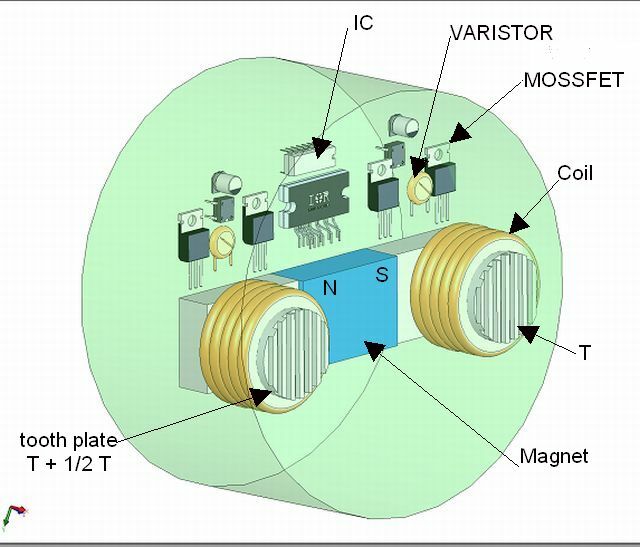 Current on each coil about 5 Ampers menage mossfets. Everything controled of course with microprocessor . everyone so complet of elements is decreeing with 5 amperes, rally if to do about 150 pieces of these elements and to put them on this PCB tile, we can manage about 750 amperes what should completely be enough for the warming up the engine. 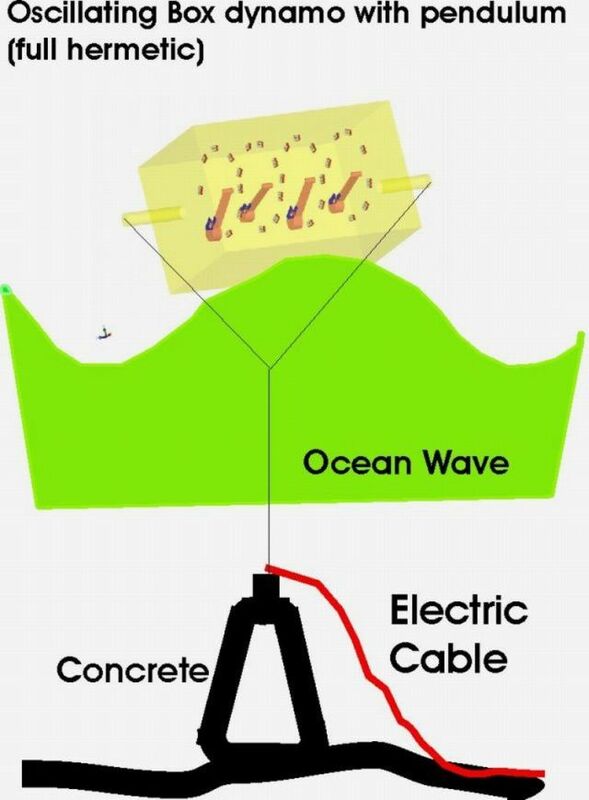 Receiving the electric current in the same way for charging a battery is already a banally simple matter. I think, that such PCB it "Automotive mother board" the same "Automotive mother board" is replacing the alternator and the starter. Flywheel still is always in the engine. Mods, please move this non racing related thread to the armchair section or something!! Having sat back on this thread since it first appeared (ok it may be a wind up !) I will give my opinion for what it's worth There have been inventors thinking up new designs of internal combustion engines ever since the first one was made (and that was debatable who first made it ). Regardless of anything else all these different types of engines all still use fuel that is rapidly running out, and I have yet to see any novel designed unit powerful enough to propel a car at a reasonable speed that does amazing MPG. I had some old 1920s books that showed most of these "different" types of engines, although most couldn't be made to work for more than 5 minutes because of the materials available in the period, never the less the ideas were there. A lot of these overcomplicated masterpieces (although clever) have a lot of reciprocating parts that absorb power through frictional losses so are counter productive and also expensive to tool up for and make and test and develop ! 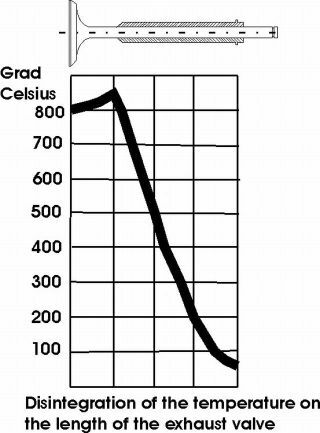 The only ICE that I personally think has any future is the one that can increase or decrease the internal CC when needed. But it still needs fuel ! Pcb are possible in 2 half part. 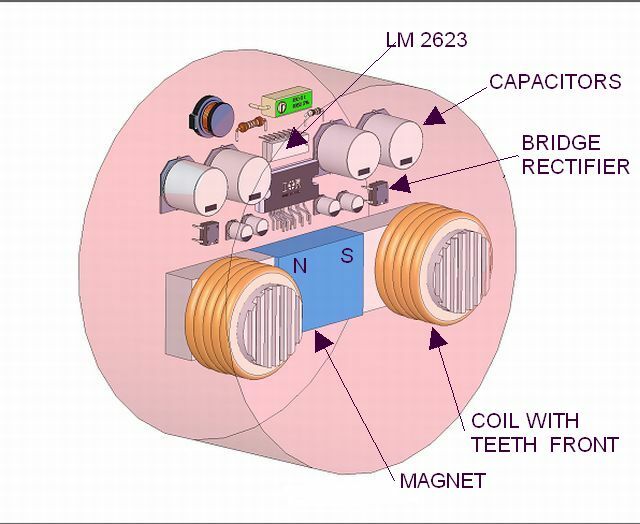 Two ribbon cable, and sensitive electronics put outside of hot engine. 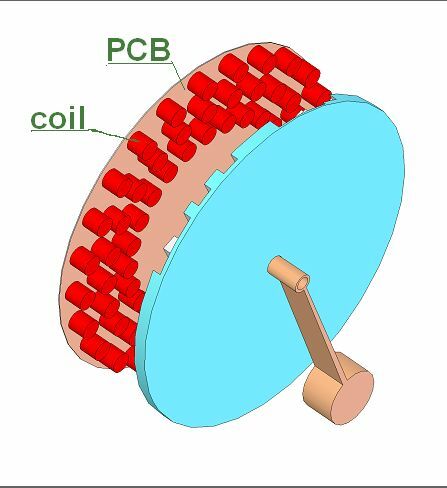 On PCB only magnets and coils , and nonsensitive electronics filled with resin. But there are also helicopter piston engines to which it will be sufficient to add the light disc made of the thin metal sheet after all and we have the outstanding starter and the generator . And we lost about 20 KG. So far I didn't still deal with a brake system of the car . Without any interference in a brake system existing so far, I will prolong his work live at least twice . Do you know electric retarder in big truck and buses? When they applied the ones electric retarder in these cars, consuming the part of a brake system it diminished repeatedly . 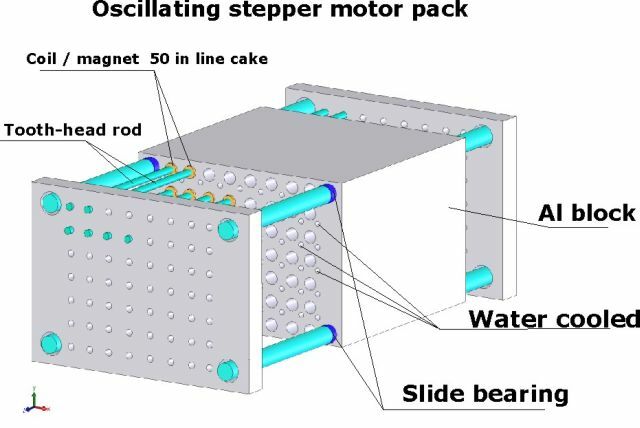 That is, when this my new idea ,will be applied dynastarter, one should also equip him with the function electric retarder. 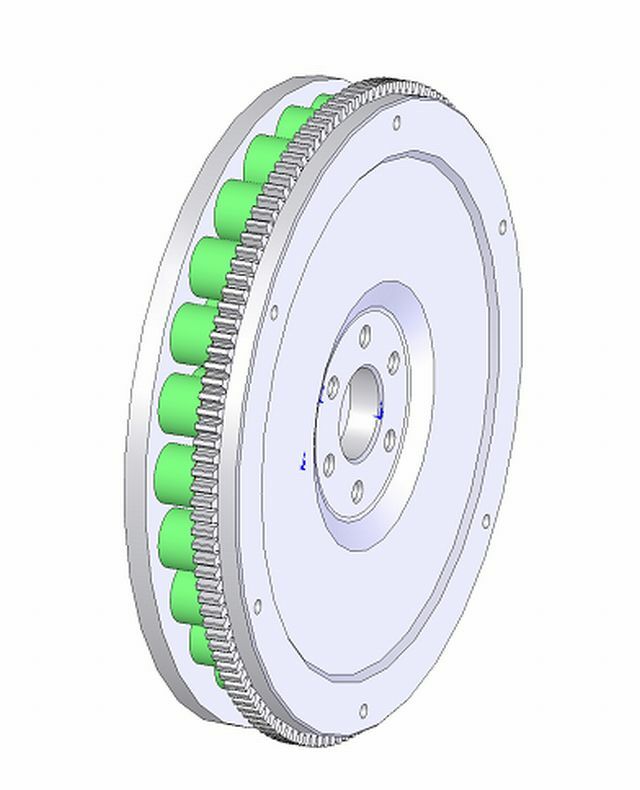 Namely, with the help of a brake pedal, at first to give the electricity on the one dynastarter with a view to braking for them, and only then, when braking will be this way insufficient, a brake pedal will start a traditional brake system . 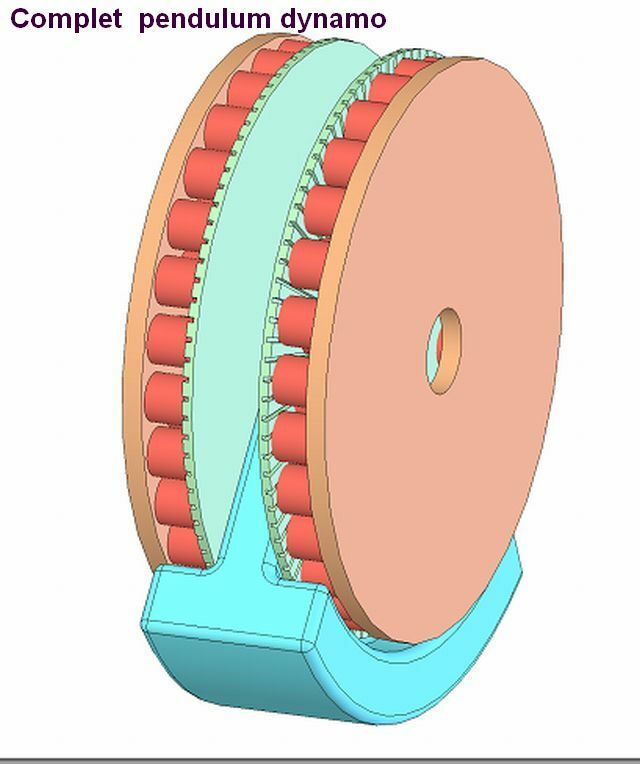 This dismisser which will be possible for the accomplishment on dynastarter, will be acting on a bit of an other principle than electric retarderin lorries. 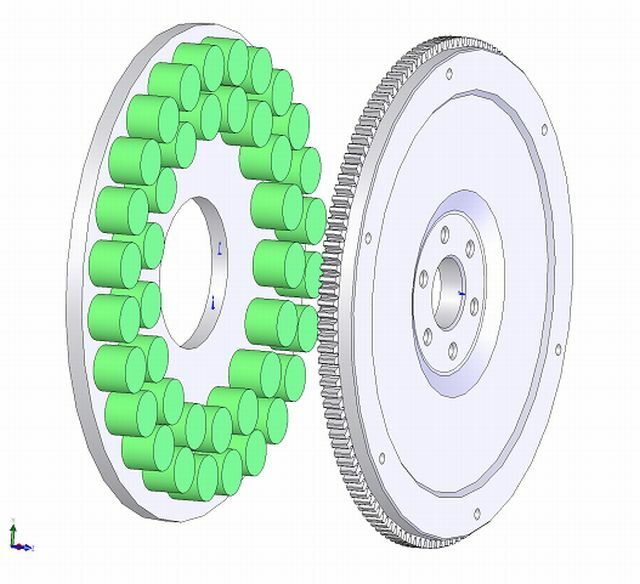 That is, provided electricity to dynastarter, will be producing the braking torque similar to the holding torque in stepping motors. 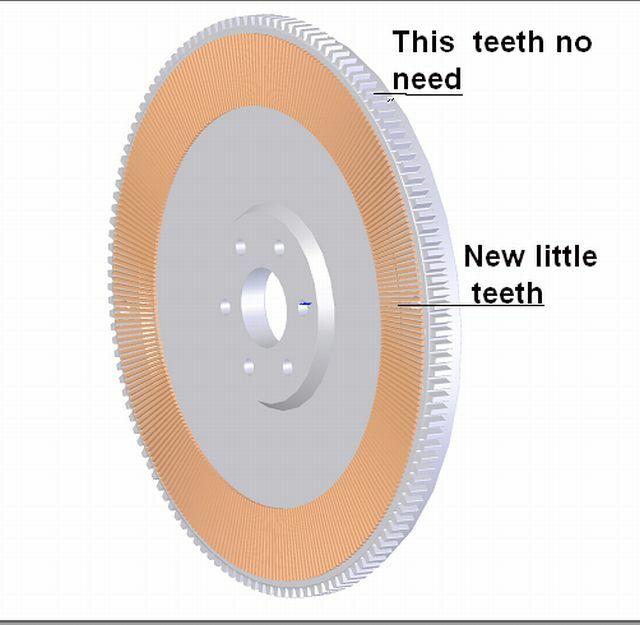 I think, around when drivers will have the big red diode in the car ,led which will be becoming when traditional brakes are starting acting, they will be supposed this way to suppress ambitions so that she doesn't become , that is a traditional brake system is out of work. 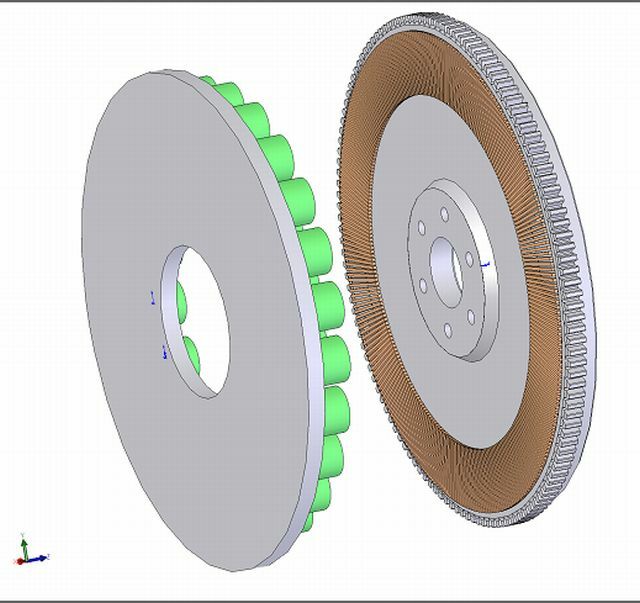 I think that an entire brake system used this way will be enough on all life of the car, without any exchanges of him parts friction. This asolutely new function of new dynastarter. My proposal it is modified poped valve which let for very effective picking up the warmth by chilling with intense stream of oil. Thanks to widening the leading part of the valve to the maximum dimension which can only to fit in the nest , the surface of the joint of the valve with the head repeatedly was increased. 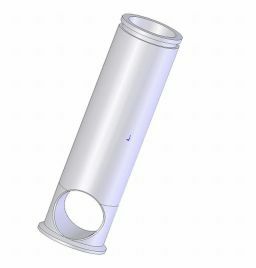 Thanks to widening the leading part of the valve to the maximum dimension which can only to fit in the nest the surface of the joint of the valve with the head repeatedly was increased. much simpler sailing across the warmth causes it to the well chilled head. a here also omitted Valve Guide which is usually of materials worse being a heat conductor than aluminium stayed. the additional crack of the baulk still became the Valve Guide to head liquidated in this new structure of the valve. The new structure allows to move heat to the head very efficiently. with valve quide omitting, and big relatively with area. In the new structure it is an important thing, that inside valve on 3 / 4 one's length is feeling empty inside and has the enormous area for the exchange of the warm with chilling oil. Chilling jst oil passed to the middle of the valve with the help of two tubes from which the very intense stream of cooling oil is flowing out. It will also be possible to increase the efficiency of the engine by increasing the degree of tensing, or else there will be no great temperature in a combustion chamber what the significant reduction of self-ignitions will cause, and will cause more laminar burning. And the most important case. Since temperature of the new valve on 3 / 4 his lengths she should not be bigger than the temperature of the head, it will be possible to resign entirely from devices for placing valve clearance, since the sum of the expandability of the new valve and the expandability of the head will be approximately similar. therefore keeping valve clearance of manner will be unnecessary as a result of the same complete expandability of the valve and the head. Below I am describing two models of the latest version of valves, and the disintegration of the temperature on the length in the traditional valve. Hi there Andrew and welcome back! 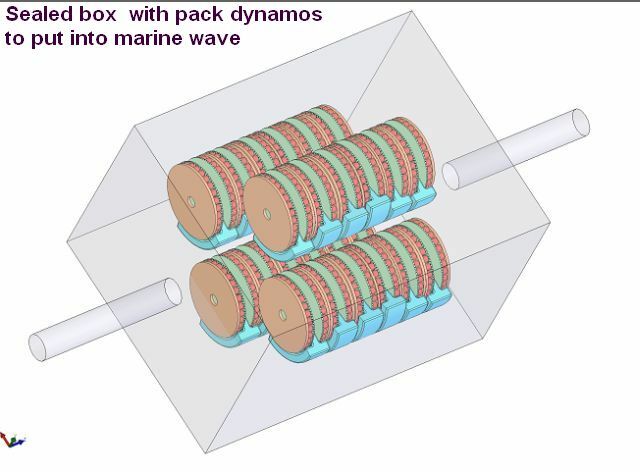 I actually had missed your ocean dynamo posts, not sure how... Interesting. 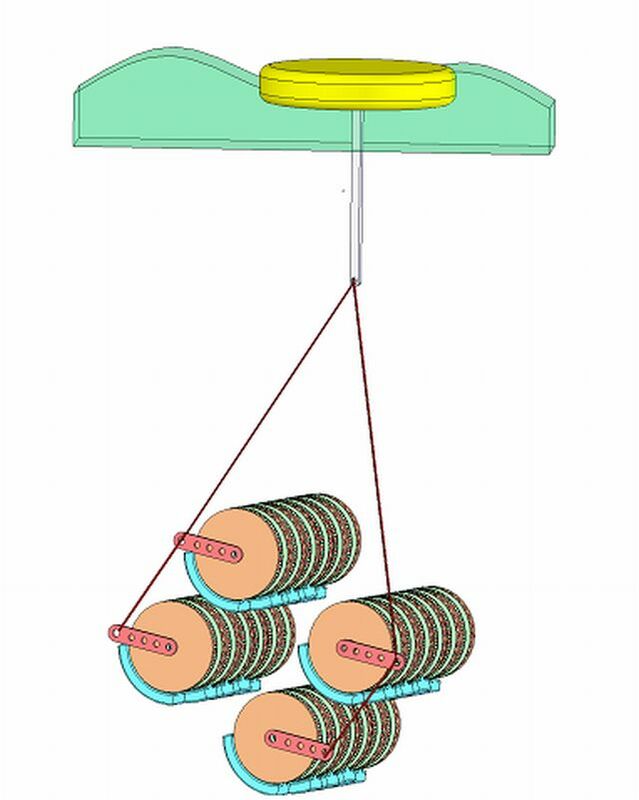 Would there be a way to harness the energy generated and transfer it to a prototype at LeMans? 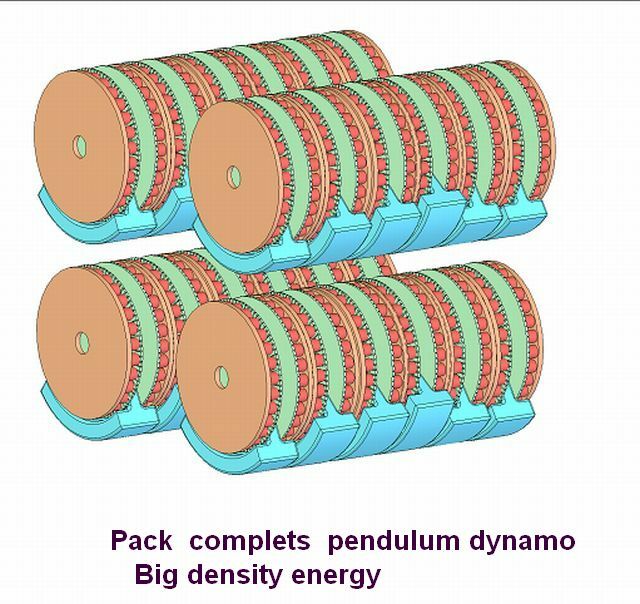 Perhaps quick change energy cells, changable at pitstops? Anyway, on the super cooled oil on exhaust valve treatise, firstly, how are you cooling the oil and is this oil different then operational oil for the engine? 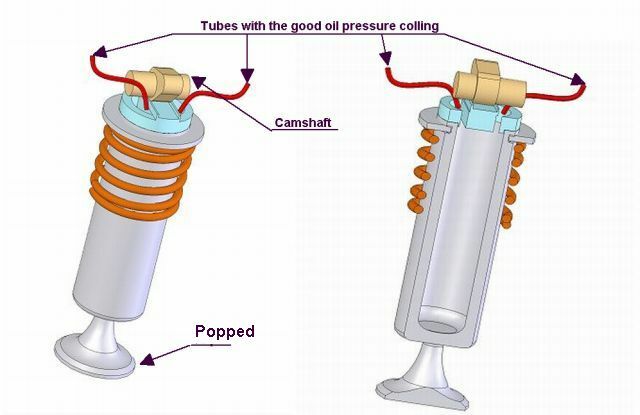 Won't super cooled oil cause a temperature shock to the materials of the valve and seat (or 'nest' as you are using) with rapid expansion/contraction cycles and lead to material degradation and thus material failure? How about resurrecting the sleeve valve, if you are not familiar with it there is a good article on Wikipedia. what ever happened to the ball camshaft idea i saw at autosport international many years ago ? i would have thought a major manufacturer would have snapped it up !!! Last edited by bdwoody; 29 Dec 2009 at 13:53. Your valve idea appears to be a solution to a small problem which introduces several serious problems! I can't see how it eliminates the valve guide - your big fat valve bodies must have some form of location, which would just be a very large diameter valve guide. Those big fat valve bodies must, as drawn, affect airflow? To get them out of the airflow I suspect you'd need a much longer valve stem than you show, which would make the valve assembly much longer than a normal valve, necessitating in turn a much deeper head casting, making the engine heavier & taller. 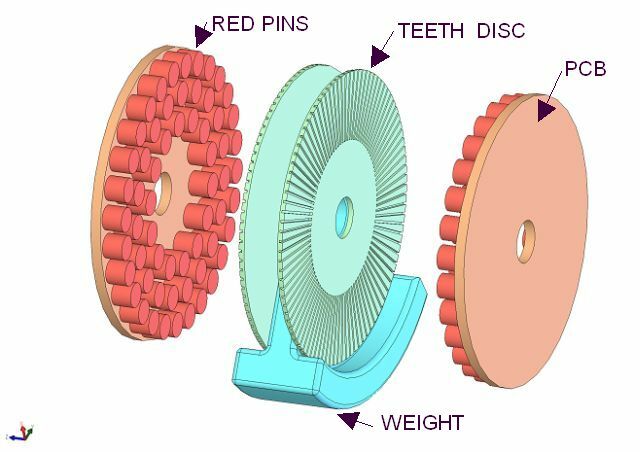 Last but not least, your idea would result in an enormous increase in reciprocating mass, again adding weight throughout the valve train & seriously reducing engine speed. The answer to valve heating problems is metallurgy, not mass! What about Sodium Cooled valves. Hollow valve stems part filled with sodium. As the valves reciprocate the (now molten) sodium whizzes up and down the stem and transfers heat from the valve head all the way up the length of the valve, you still have to get the heat away from the valve but you have a head start if it is evenly distributed up the length of the part. I guess the whole valve would be heavier though. Perhaps someone can remind me where I've seen this idea, blowed if I can remember. Just to add that I've just done a quick google and it seems they have found their way onto a few road cars so not as radical ad idea as I thought.